I like boxing, I love horse racing. However, just a day removed from the 135th Preakness Stakes, and several weeks removed from undefeated Floyd Mayweather's dominating performance against Shane Mosley, it's no wonder both the sport of kings and headlining fights have gone by the wayside. Excited for the 3rd leg of the Triple Crown? Even with no thoroughbred going for the elusive achievement, you still might have been. An exciting Kentucky Derby which watched a fantastic jockey dominate on what has become his turf at Churchill Downs. An even more exciting finish at Pimlico yesterday evening, the former Derby favorite storms Maryland and wins in classic fashion. 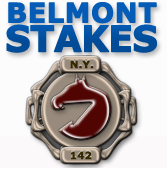 Belmont still had a shot to be very exciting and keep horse racing relevant for the next few weeks. Unfortunately for horse racing fans, both Kentucky winner Super Saver and Preakness winner Lookin At Lucky, won't show up in New York to race in The Belmont Stakes. Choosing to stay out and race in other events later this summer, nice try at keeping names the casual fan has learned over the last several weeks out of the headlines in the next few. You know what happens if the Celtics win against the Magic? They play for the championship, they don't go home and end on a winning note. This is why the casual fan has no idea who is racing in The Belmont, couldn't millions more be made if the casual fan was forced to pick one of the only horses they know about? Because of money in stud fees, and risk of an injury to a major money horse, nothing changes. Three different horses will have won each leg of the triple crown, great!?!?! Hmmmmm. Floyd Mayweather lives up to the hype. Smashing Shane Mosley in what turned into a one-sided fight just after three rounds, Mayweather yet again put boxing on his back and got the common fan excited. Not only the hype, he lived up to his nickname, "Money." 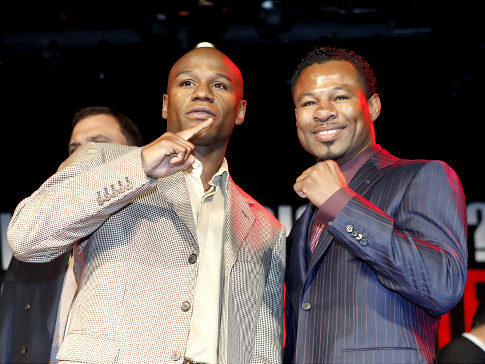 But let's not forget, while Mayweather may have just backed up an armored car to his house, Shane Mosley wasn't the boxer Mayweather was supposed to fight. Manny Pacquiao is that boxer. Unfortunately, now boxing fans will just wait for it to happen, with no exact end in sight because of a disagreement on drug testing? So there isn't a general rule when you have to drug test? No governing body can make them fight each other? For a sport which saw nearly 1.4 million pay-per view buys, bringing in close to $80 million dollars in the most recent Mayweather fight, no one can force a follow-up? I should remind you I'm not using the tired old line of "there are no heavyweights" I'm using "what's next?" argument. You wonder why fan bases can't be built? They like to know what happens next. Your team heading into the offseason, how do they rebuild? Your team wins a big playoff series, whose next? Not, so what happens now? What happens after three days of Sportscenter highlights? Hmmmm. While they offer some of the most exciting moments in sports, a thundering punch, the roar of the crowd as the horse thunders to the finish line, the two "old school" favorites, are in fact just that. Old School. I hope the NFL and every other sport picks up on this trend, if it's only about money, it eventually turns the majority away.